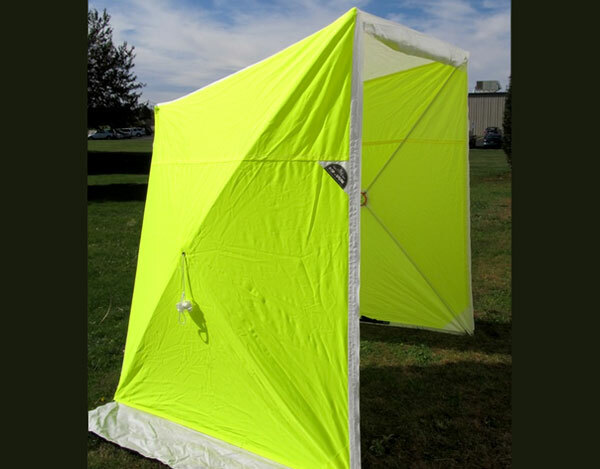 Available in a variety of sizes, styles, features, options, and innovations to better meet your shelter needs. 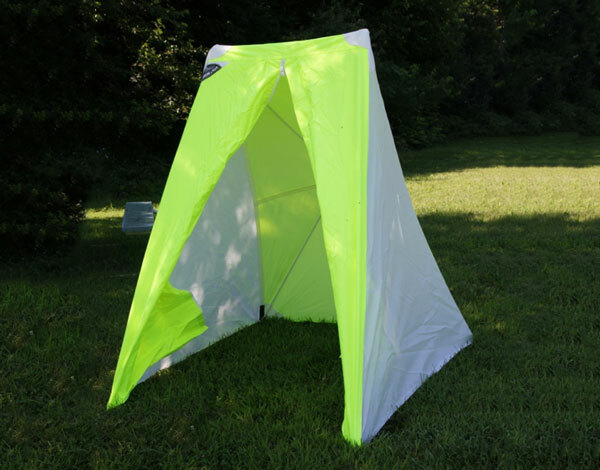 All of our tents are designed to last with a sturdy fiberglass and steel frame and a weather protective cover. Find a style that fits your needs or let us design something just for you. 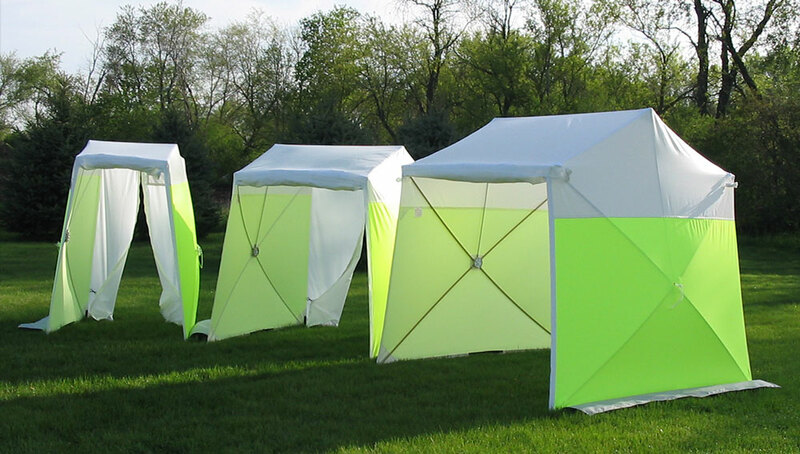 The original and bestselling ground tents come in standard sizes of 4’x 4’ up to 12’x10’. Ready to go in less than a minute these tents will let you get to work faster. The durable fiberglass and steel frame is built to last. 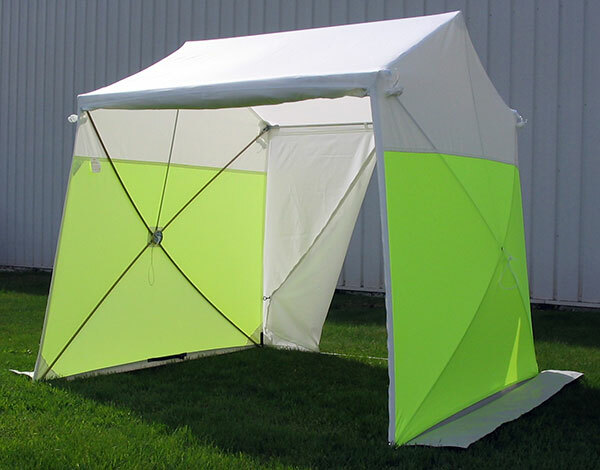 Coated polyester cover provides UV protection and water repellency. Flame retardant to CPAI 84 standards. Designed for work adjacent to walls or in tight spaces. A great option for cabinets when overhead room is limited. Slanted roof to direct water away from work area. Designed for work on pedestals, the Ped Pal provides an economical option for small work sites. We know that sometimes your project calls for a specific design or feature. 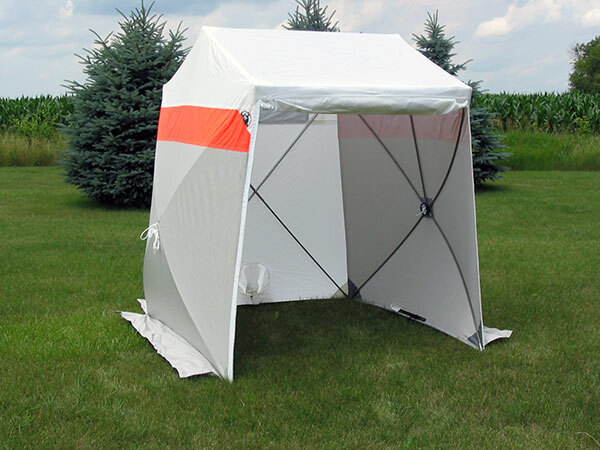 We’ll work with you to engineer a tent to fit your need. Whether it’s a logo, a reflective stripe, a specific color, an exact size, or any other specification, we have the ability to customize to what you need.